If you’re like most smartphone users, apps come and go on your device with lightning fast regularity. It’s a safe bet, however, that there isn’t nearly as much constant customization happening on your Mac, is there? 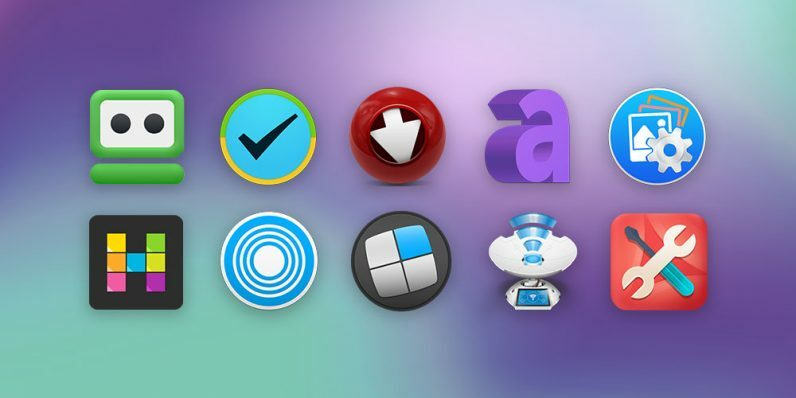 Well, here’s your chance to really trick out your Mac and load it up with some pinnacle new tools as part of this Ultimate Mac Bundle ft. 2Do. It’s available now at any price you want to pay from TNW Deals. Here’s how it works — if you’re willing to match the average total paid by other shoppers like you, you’ll get all 10 of these fantastic apps for your price. It’s a package aimed at improving your Mac’s performance, speed and efficiency all while outfitting you with a Mac primed to do a host of new tricks. The bundle includes video grabber Airy YouTube Downloader (a $59.95 value), productivity enhancer 2Do ($49.99), password manager RoboForm Everywhere ($47.76), PDF interface PDF Manager Ultimate ($69.99) and networking guru NetSpot Home ($49). You’ll also get windows management tool Mosaic Pro ($32), task tracker HyperPlan Home ($40), music mixer Future DJ ($19.99), image sorter Duplicate Photos Fixer Pro ($37.98) and graphic design helper Art Text 3 ($29.99). Together, that’s over $430 worth of app power, but with this limited time deal, it’ll be a whole lot less if you get in now.